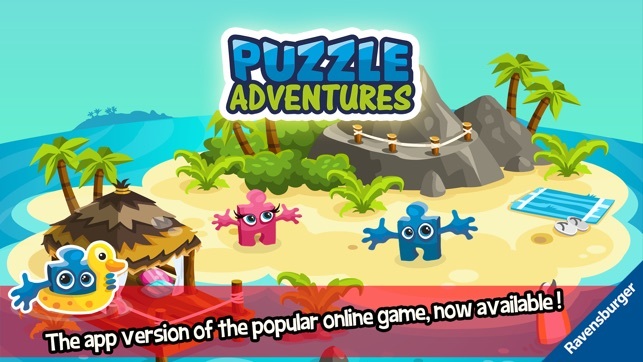 Puzzle Adventures will be shut down on 31.03.2020. 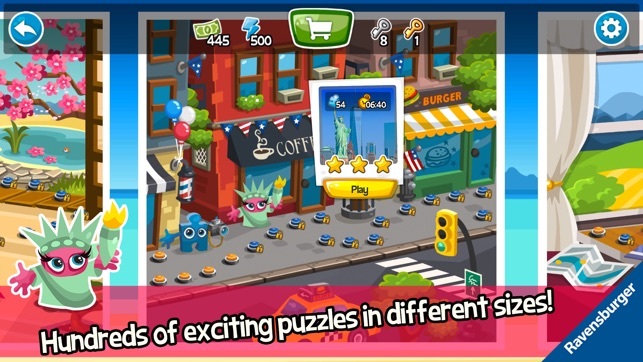 Please make sure you use up all of your Booster Power and Puzzle Cash before this date. Thank you for joining Jiggy & Valentina on their adventures. 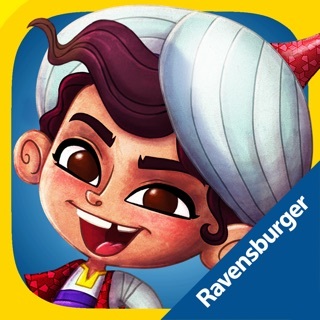 Ravensburger’s Puzzle Adventures has been played and loved by over 8 million people on Facebook, and is now available as an app for your iPhone or iPad! 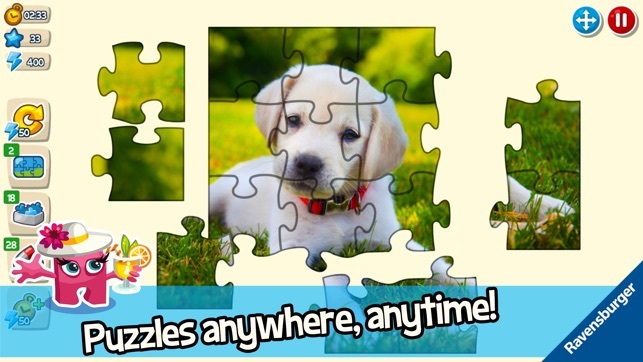 Did you know that Ravensburger has been making puzzles since 1891? 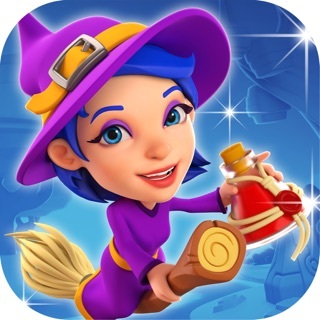 You can play Puzzle Adventures for free, although additional Booster Power and Puzzle Cash need to be purchased. To block purchases, disable in-app purchases in your device’s system settings. This is the only gaming app I have. Truly enjoy it. But will there be more levels coming out soon? I used to play this more regularly, but with the last update, you can’t even play without linking a Facebook account. 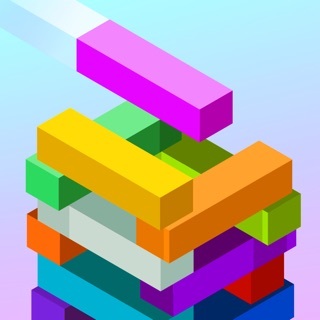 I love this game, but I have now faced the same issue on multiple occasions in four different puzzles... I solve the puzzle even with time to spare, but the game doesn't recognize it, time ends up running out and it says that I lost. 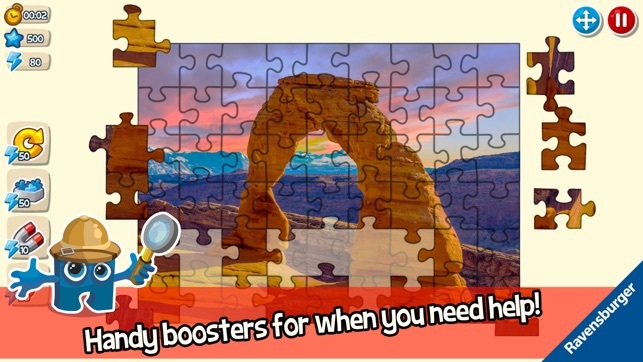 This is especially upsetting, because in two instances I was using power boosters to help me solve the puzzle, which are now wasted with no gain for me. I hope this issue will get resolved soon. Hi ! Thank you very much for your feedback. 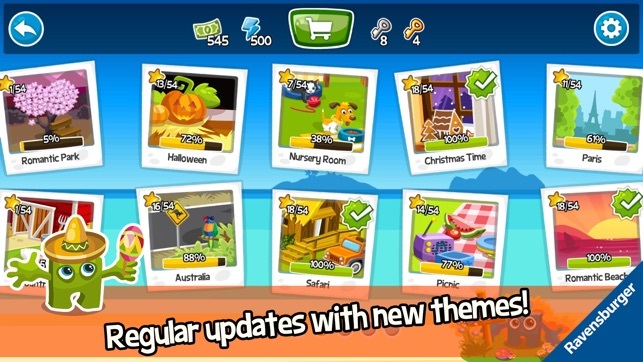 We've fixed this issue and released a new version of the game. Please download this new update and you shouldn't experience this difficulties anymore. If you have further questions or suggestions , please contact us at: support@ravensburger-digital.com. We'll be happy to assist you.